For the corporation performing Internet security accreditation, see VeriSign. Verizon Communications, Inc. ( listen ) (/vəˈraɪzən/ və-RY-zən) (simply known as Verizon, stylized as verizon), is a broadband telecommunications company and the largest U.S. wireless communications service provider as of September 2014, and a corporate component of the Dow Jones Industrial Average. The company is based at 1095 Avenue of the Americas in Midtown Manhattan, New York City, but is incorporated in Delaware. In 2000, Bell Atlantic merged with GTE, which operated telecommunications companies across most of the rest of the country that was not already in Bell Atlantic's footprint. Bell Atlantic, the surviving company, changed its name to "Verizon", a portmanteau of veritas (Latin for "truth") and horizon. In 1994, Bell Atlantic became the first RBOC to entirely drop the original names of its original operating companies. Verizon Communications formed in June 2000 when the Federal Communications Commission approved a US$64.7 billion merger of telephone companies Bell Atlantic and GTE, nearly two years after the deal was proposed in July 1998. The approval came with 25 stipulations to preserve competition between local phone carriers, including investing in new markets and broadband technologies. The new venture was headed by co-CEOs Charles Lee, formerly the CEO of GTE, and Bell Atlantic CEO Ivan Seidenberg. Upon its inception, Verizon became the largest local telephone company in the United States, operating 63 million telephone lines in 40 states. The company also inherited 25 million mobile phone customers. Additionally, Verizon offered internet services and long-distance calling in New York, before expanding long-distance operations to other states. In August 2000, approximately 85,000 Verizon workers went on an 18-day labor strike after their union contracts expired. The strike affected quarterly revenues, resulting in Verizon Wireless' postponement of the company's IPO (the IPO was ultimately cancelled in 2003, because the company no longer needed to raise revenue for Verizon Wireless due to increased profits ), and created a backlog of repairs. In August 2002, Verizon began offering local, long-distance, and mobile calling, as well as Internet service, in a bundle. It was initially only available to customers in New York and Massachusetts. Verizon launched its FiOS Internet service, which transmits data over fiber optic cables in Keller, Texas. (Since divested Frontier) The company launched FiOS TV in September 2005, also in Keller, Texas. Twenty percent of qualified homes signed up by the end of the year. By January 2006, FiOS offered over 350 channels in eight states, including 20 high-definition television channels as well as video on demand. Verizon won a lawsuit against Vonage in March 2007 for patent infringement. The three patents named were filed by Verizon in 1997 and relate to the conversion of IP addresses into phone numbers, a key technology of Vonage's business. The company was awarded US$58 million in damages and future royalties. Vonage later lost an appeal and was ordered to pay Verizon $120 million. In May 2007, Verizon acquired Cybertrust, a privately held provider of global information security services. This purchase represented Verizon's intent to offer security solutions to its global enterprise customers. Between 2005–2010, Verizon divested wireline operations in several states in order to focus on its wireless, FiOS internet and FiOS TV businesses. It sold 700,000 lines in Hawaii in 2005, and spun off lines in Maine, New Hampshire and Vermont in January 2007 that were then purchased by FairPoint Communications for $2.72 billion. In 2009, the company spun off wirelines in 14 states into a company that then merged with Frontier Communications in a deal valued at $8.6 billion. Verizon also shed its telephone directory business in 2006. In May 2009, Verizon announced that it was selling off its wireline operations in Arizona, Idaho, Illinois, Indiana, Michigan, Nevada, North Carolina, Ohio, Oregon, South Carolina, Washington, West Virginia, and Wisconsin. And in 2015, they announced they were selling its wireline operations in Texas, Florida, and California to Frontier. On January 27, 2011, Verizon acquired Terremark, an information technology services company for $1.4 billion. In February 2011, Verizon Wireless began selling the iPhone 4, which eventually became the most successful launch on the network, outselling all previous phones in the company's history. Ivan Seidenberg stepped down as Verizon's CEO on August 1, 2011. Lowell McAdam succeeded him. In June 2012, as part of its strategy to expand into new growth areas in its wireless business, Verizon purchased Hughes Telematics—a company that produces wireless features for automobiles—for $612 million. Also in June 2012, Verizon's E-911 service failed in the aftermath of the June 2012 derecho storm in several northern Virginia suburbs of Washington, D.C., with some problems lasting several days. The FCC conducted an investigation and in January 2013 released a report detailing the problems that led to the failure. Verizon reported that it had already addressed or was addressing a number of the issues related to the FCC report, including the causes of generator failures, conducting audits of backup systems and making its monitoring systems less centralized, although the FCC indicated that Verizon still needed to make additional improvements. In July 2012, the FCC required Verizon to stop charging users an added fee for using 4G smartphones and tablets as Wi-fi hotspots (known as "tethering"). Verizon had been charging its customers, even those with "unlimited" plans, $20 per month for tethering. As part of the settlement, Verizon made a voluntary payment of $1.25 million to the U.S. Treasury. On January 14, 2014, the DC Circuit Court of Appeals struck down the FCC's net neutrality rules after Verizon filed suit against them in January 2010. In June 2016, in an 184-page ruling, the United States Court of Appeals for the District of Columbia Circuit upheld, by a 2–1 vote, the FCC's net neutrality rules and the FCC's determination that broadband access is a public utility, rather than a luxury. AT&T and the telecom industry said that they would seek to appeal the decision to the Supreme Court. On January 22, 2014 the Wall Street Journal reported that Verizon Communications Inc. received more than 1,000 requests for information about its subscribers on national security grounds via National Security Letters. In total, Verizon received 321,545 requests from federal, state and local law enforcement for U.S. customer information. 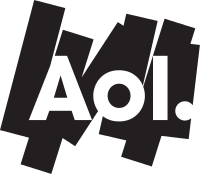 On January 5, 2015, Verizon was said to have approached AOL about a possible takeover or venture, and on May 12, 2015, Verizon announced they would purchase AOL at $50 per share, for a deal valued around $4.4 billion. In May 2015, Verizon agreed to pay $90 million "to settle federal and state investigations into allegations mobile customers were improperly billed for premium text messages." In August 2015, Verizon launched its car "doctor" product named Hum. On April 13, 2016, the Verizon strike of 2016 began. Organized by trade unions International Brotherhood of Electrical Workers and the Communications Workers of America, this ongoing action involves 40,000 landline and cable workers who have been without a contract since August 2015. On July 25, 2016 Verizon agreed to purchase Yahoo! 's operating business for $4.83 billion. The goal is to merge Yahoo with AOL (which Verizon acquired in 2015) to form a single organization that can compete with digital media giants. The deal is expected to close in the first quarter of 2017. On August 1, 2016, Verizon announced to buy Fleetmatics, a fleet telematics system company in Dublin, Ireland, for $2.4 billion, to build products that it offers to enterprises for logistics and mobile workforces. On September 12, 2016, Verizon announced it was acquiring Sensity, a startup for LED sensors, in an effort to bolster its IoT portfolio. In November 2016, Verizon acquired mapping startup SocialRadar and, according to TechCrunch, will integrate SocialRadar’s data and services into MapQuest's existing tools. Verizon Communications' operations are divided into four business units: wireless services, residential and small business services, enterprise services, and partner programs. Verizon Wireless provides mobile phone, text message, and data services for phones, tablets, and computers, as well as wireless hotspot devices. As of April 2016, Verizon's 4G LTE network covered 98% of the US, and as of January 2016, Verizon Wireless provided wireless services to 140.1 million subscribers. Verizon provides wireline phone service, Internet access, and television to residences and small businesses, via either copper wire or fiber optic cable. Verizon's FiOS service, launched in 2005, provides Internet, television, and phone service using fiber optic cable instead of copper wire. As of April 2016, Verizon had a total of 7.1 million FiOS Internet subscribers and 5.8 million FiOS TV customers, with FiOS accounting for 80% of Verizon's revenues from fixed-line consumer retail. Verizon High Speed Internet is a bundle of telephone service, and DSL internet. In areas where Verizon FiOS is available, copper lines (used for HSI) are removed, and HSI is no longer available. Verizon Enterprise Solutions, known as Verizon Business from 2006 to 2011, provides services for wholesale, corporate, and government clients. Enterprise Solutions provides a cloud-based platform to deliver IT, security, mobility, and collaboration solutions to customers. It supports service in 75 countries, and has a global IP network that reaches more than 150 countries, with 99 percent of Fortune 500 companies using Verizon Enterprise Solutions. The "Can you hear me now?" campaign, which was created for the newly formed Verizon Wireless, started running in 2001 and featured actor Paul Marcarelli in the role of "Test Man," a character based on a Verizon network tester who travels the country asking "Can you hear me now?" The campaign, originally conceived by the agency Bozell in New York, ran from early 2001 to September 2010. Data from the technology tracking firm The Yankee Group shows that, in the early years of the campaign, net customers grew 10% to 32.5 million in 2002 and 15% more to 37.5 million in 2003. In addition, customer turnover dropped to 1.8% in 2001, down from 2.5% in 2000. In 2011, Marcarelli parted ways with Verizon and is now a spokesperson for Sprint. The "There's a map for that" campaign was launched in late 2009. It was designed as a parody of AT&T's "There's an app for that" adverts. The ads depicted a side-by-side comparison of Verizon and AT&T network coverage maps. AT&T filed a lawsuit in Atlanta federal court early in November 2009, claiming that the coverage maps being used in the ads were misleading. The suit was dropped later that month in conjunction with Verizon dropping a similar suit against AT&T. In 2009, Verizon joined with the Ad Council, in partnership with the Family Violence Prevention Fund and the Office on Violence Against Women, to create the "That's not cool" campaign. This public service advertising campaign was designed to help teens recognize and prevent digital dating abuse. Verizon ran the ads on its Wireless' Mobile Web service, Verizon FiOS Internet, and Verizon FiOS TV. In January 2013, Verizon launched the "Powerful Answers" campaign designed by agency McGarryBowen. The campaign centered around a contest in which $10 million in prizes was offered to individuals for finding solutions to "the world's biggest challenges" by making use of Verizon's cloud, broadband, and wireless networks. Winners of the inaugural competition were announced at the 2014 Consumer Electronics Show. Israel-based TinyTap won the education category, Smart Vision Labs of Newport, Rhode Island won in the healthcare category, and Mosaic Inc. of Oakland, California won in the sustainability category. Verizon launched its "Inspire Her Mind" ad in June 2014. The ad, created by the agency AKQA, was designed to encourage girls' interest in science, technology, engineering and math. It aimed to address findings from the National Science Foundation, whose research showed that 66 percent of fourth-grade girls said they like science and math, yet only 18 percent of college students in engineering and math are women. Verizon launched its Flipside Stories ad campaign in February 2015 featuring the #NeverSettle hashtag. The ads show dramatized "testimonials" of people with and without Verizon Wireless or Verizon FiOS services. In 2016, Verizon started using the slogan "Better Matters" in reference to its wireless and FiOS networks. For wireless, it relies heavily on its larger coverage map, and its RootMetrics RootScore awards. For FiOS, it relies on the fact that "FiOS is wired differently [than cable]", being that FiOS is fiber to the home, and its local competitors are not. The Verizon Foundation is the philanthropic arm of Verizon Communications, donating about $70 million per year to nonprofit organizations, with a focus on education, domestic violence prevention, and energy management. Verizon's educational initiatives have focused on STEM fields, including: a national competition for students to develop mobile application concepts; the Verizon Innovative Learning Schools program, providing professional development for teachers in underserved areas; and providing students with wireless hardware and services as part of President Obama's ConnectED program. The company also runs HopeLine, which has provided mobile phones to approximately 180,000 victims of domestic violence, and a program that offers grants for victims of domestic violence to start or grow home-based businesses. As part of an initiative to reduce the company's carbon intensity metrics by 50 percent by 2020, Verizon announced planned investment in solar panels and natural gas fuel cells at its facilities. The increased capacity would make Verizon the leading solar power producer among U.S. communications companies. Verizon is the title sponsor of several large performance and sports venues as well as a sponsor of several major sporting organizations. In January 2007 Verizon secured exclusive marketing and promotional rights with the National Hockey League. The deal was extended for another three years in 2012 and included new provisions for the league to provide exclusive content through Verizon's GameCenter app. In 2010 Verizon chose to opt out of a two-year-old NASCAR team sponsorship with Penske Racing in order to pursue an expanded presence with the IndyCar Series. In March 2014 Verizon signed a multiyear deal making them the title sponsor of the IndyCar Series, now called the Verizon IndyCar Series. In late 2010 Verizon Communications joined with Vodafone Group in a joint partnership to replace Sprint as the official wireless telecommunications partner of the National Football League. The four-year deal was estimated at $720 million. In June 2013, Verizon announced a four-year extension with the NFL in a deal reportedly valued at $1 billion. The new agreement gives Verizon the right to stream every NFL regular-season and playoff game. Verizon is the title sponsor for a number of sporting and entertainment arenas including the Verizon Center in Washington, DC; the Verizon Wireless Arena in Manchester, New Hampshire; the Verizon Arena in North Little Rock, Arkansas; and the Verizon Wireless Center in Mankato, Minnesota. Verizon is also currently the title sponsor of five entertainment amphitheaters in locations throughout the United States, four being individually referred to as the "Verizon Wireless Amphitheatre": in Irvine, California; Maryland Heights, Missouri; Selma, Texas; and Alpharetta, Georgia. The fifth is the Verizon Theatre at Grand Prairie, Texas. ↑ "CBS MarketWatch profile, Verizon Communications, Inc". Marketwatch.com. Retrieved 2013-06-13. 1 2 Patrick Meehan (June 29, 2014). "Verizon to Return to Its Former Midtown Tower, but on a Smaller Scale". Retrieved October 5, 2015. ↑ Gallant, John (May 13, 2013). "Verizon Enterprise chief: We're headed for cloud computing's A-list". Network World. Framingham, Massachusetts: Adam Dennison. Retrieved June 20, 2014. ↑ "Grading the top 8 U.S. wireless carriers in the third quarter of 2014". FierceWireless. November 10, 2014. Retrieved March 13, 2015. ↑ "Companies in the Dow Jones Industrial Average". CNNMoney. Retrieved April 24, 2013. ↑ "Verizon | Company History". ↑ "Verizon — Investor Relations — Company Profile — Corporate History". Retrieved 2011-09-14. 1 2 3 4 "Bell, GTE merger approved". CNN Money. June 16, 2000. Retrieved November 27, 2013. 1 2 Labaton, Stephen (June 17, 2000). "F.C.C. Approves Bell Atlantic-GTE Merger, Creating No. 1 Phone Company". The New York Times. Retrieved November 27, 2013. 1 2 Meyerson, Bruce (August 7, 2002). "Verizon, BellSouth bundling phone services". The Cincinnati Enquirer. Retrieved November 27, 2013. 1 2 Culp, Bryan (January 1, 2001). "Playing the Name Game Again". MarketingProfs. Retrieved November 27, 2013. 1 2 3 4 Borland, John (April 3, 2000). "Wireless deals put pressure on competitors to grow". CNET. Retrieved November 27, 2013. 1 2 3 4 5 "Bell Atlantic-Vodafone pact". CNN Money. September 21, 1999. Retrieved November 27, 2013. 1 2 Luening, Erich (July 17, 2000). "Verizon Wireless kicks off mobile Net access". CNET. Retrieved November 27, 2013. ↑ Weiss, Todd R. (June 19, 2000). "AT&T buys Verizon wireless licenses for $3.3 billion". Computerworld. Retrieved November 27, 2013. ↑ Tahmincioglu, Eve (September 22, 1999). "Bell Atlantic, Vodafone seal deal". St. Petersburg Times. Retrieved November 27, 2013. ↑ "Verizon Wireless Offers Free Phones". The New York Times. September 26, 2000. Retrieved November 27, 2013. ↑ "Microsoft, Verizon tackling wireless together". USA Today. May 23, 2002. Retrieved November 27, 2013. ↑ "Phone Workers Threaten A Strike Against Verizon". The New York Times. July 31, 2000. Retrieved November 27, 2013. ↑ "Verizon, union reach deal". CNN Money. August 24, 2000. Retrieved November 27, 2013. 1 2 Barnes, Cecily (October 30, 2000). "Verizon profits flat, revenues up 7 percent". CNET. Retrieved November 27, 2013. ↑ TeleGeography. “Verizon posts USD2.3 billion profit surge; cancels wireless IPO.” January 30, 2003. Retrieved December 17, 2015. ↑ Romero, Simon (January 28, 2002). "Fast Hookup With Cellphone Is Expected From Verizon". The New York Times. Retrieved November 27, 2013. ↑ Richtel, Matt (June 25, 2003). "In a Reversal, Verizon Backs Rule to Keep Cell Numbers". The New York Times. Retrieved November 27, 2013. ↑ Richtel, Matt (January 29, 2004). "Verizon Wireless Outpaces Rivals in New Subscribers". The New York Times. Retrieved November 27, 2013. 1 2 Isidore, Chris (April 1, 2004). "AT&T, Kodak, IP out of Dow AIG, Verizon, Pfizer are the newest additions to the world's most widely watched stock index". CNN Money. Retrieved November 27, 2013. ↑ Leyden, John (January 14, 2005). "Verizon persists with European email blockade". The Register. Retrieved November 27, 2013. ↑ Svensson, Peter (June 20, 2007). "Verizon signs up millionth FiOS customer". USA Today. Retrieved February 3, 2014. 1 2 Eckert, Barton (January 24, 2006). "Verizon FiOS TV service picks up Falls Church franchise". Washington Business Journal. Retrieved November 27, 2013. 1 2 La Monica, Paul (March 29, 2005). "MCI accepts new $7.6B Verizon bid franchise". CNNMoney.com. Retrieved November 27, 2013. ↑ Ewalt, David (February 14, 2005). "Verizon To Acquire MCI For $6.8B". Forbes. Retrieved January 9, 2014. ↑ Reardon, Marguerite (January 6, 2006). "Verizon closes book on MCI merger franchise". CNET. Retrieved November 27, 2013. ↑ "Verizon and SBC deals clear final U.S. hurdle". The New York Times. November 1, 2005. Retrieved November 27, 2013. 1 2 3 4 Harrison, Crayton (January 16, 2007). "Verizon Will Shed Phone Lines in Deal With FairPoint". Bloomberg. Retrieved November 27, 2013. 1 2 McNamara, Melissa (May 12, 2006). "Verizon Sued For Giving Records To NSA". CBS. Retrieved November 27, 2013. 1 2 "Verizon stock takes hit on $50 billion lawsuit". CNNMoney.com. May 15, 2006. Retrieved November 27, 2013. ↑ McCullagh, Declan (May 24, 2006). "Protesters face off with Verizon, AT&T". CNET. Retrieved November 27, 2013. ↑ Lichtblau, Eric (October 16, 2007). "Phone Utilities Won't Give Details About Eavesdropping". The New York Times. Retrieved November 27, 2013. ↑ Nakashima, Ellen (October 16, 2007). "Verizon Says It Turned Over Data Without Court Orders". The Washington Post. Retrieved November 27, 2013. 1 2 Barrett, Larry (October 25, 2007). "Vonage Settles With Verizon, Stock Soars". Internetnews.com. Retrieved November 27, 2013. ↑ St.Onge, Jeff (November 15, 2007). "Vonage's Appeal Refused; Verizon Owed $120 Million". Bloomberg. Retrieved November 27, 2013. ↑ Duffy, Jim. "Verizon Business acquires Cybertrust". Retrieved 2015-10-05. ↑ Liptak, Adam (September 27, 2007). "Verizon Reverses Itself on Abortion Messages". The New York Times. Retrieved November 27, 2013. 1 2 Gardiner, Bryan (November 27, 2007). "Pigs Fly, Hell Freezes Over and Verizon Opens Up Its Network — No, Really". Gizmodo. Retrieved November 27, 2013. 1 2 3 Kaplan, Peter (April 4, 2008). "Verizon to use new spectrum for advanced wireless". Reuters. Retrieved November 27, 2013. ↑ Gardiner, Bryan (March 20, 2008). "In Spectrum Auction, Winners Are AT&T, Verizon and Openness". Gizmodo. Retrieved November 27, 2013. ↑ Carew, Sinead (June 6, 2008). "Verizon Wireless to buy Alltel". Reuters. Retrieved November 27, 2013. ↑ Woolley, Scott (October 4, 2010). "Verizon's refund is just the start of a shakeup in wireless". Fortune. Retrieved November 27, 2013. ↑ Kang, Cecilia (October 28, 2010). "Verizon Wireless pays FCC $25M for years of false data charges". The Washington Post. Retrieved November 27, 2013. ↑ Moot (February 7, 2010). "Verizon Wireless confirms block". 4chan.org. ↑ Verizon Wireless restores 4Chan traffic, Wireless Federation, United Kingdom, 2010-02-10, accessed 2010-02-12, "After the concerns were raised over network attacks, Verizon Wireless restored traffic affiliated with the 4chan online forum." ↑ Shields, Todd (2010-08-12). "Bloomberg.com". Bloomberg.com. Retrieved 2013-06-13. ↑ Matt Schafer (August 9, 2010). "Five Sentences from Google/Verizon that Could Change the Net Forever". Lippmannwouldroll.com. Retrieved 2010-10-17. Despite Google and Verizon’s claims to support an open Internet, the two-page policy proposal removes any hope of moving forward with the open Internet as we know it. ↑ Reardon, Marguerite (December 1, 2010). "Verizon: 4G Wireless Service Debuts this Sunday". CBS. Retrieved November 27, 2013. ↑ Sayer, Peter (July 27, 2005). "Verizon reports record revenue in second quarter". ARNnet. Retrieved November 27, 2013. ↑ Hansell, Saul (May 13, 2009). "Frontier to Buy Verizon Lines". The New York Times. Retrieved November 27, 2013. ↑ Fuhrmann, Ryan (July 11, 2006). "Verizon Hangs Up on Directory Assistance". The Motley Fool. Retrieved November 27, 2013. ↑ "Verizon sells landlines in 14 states to Frontier in $8.6B deal". ABC News. 2009-05-13. Retrieved 2015-05-12. ↑ Rusli, Evelyn (January 27, 2011). "Verizon to Buy Terremark for $1.4 Billion". The New York Times. Retrieved November 27, 2013. ↑ Reardon, Marguerite (February 10, 2011). "Verizon iPhone Goes On Sale". CBS. Retrieved November 27, 2013. ↑ Yin, Sara (February 26, 2011). "Verizon iPhone 4 Sales Are 'Best in History,' CEO Says". PC Magazine. Retrieved November 27, 2013. ↑ Svensson, Peter (July 22, 2011). "Verizon CEO Ivan Seidenberg Steps Down; Lowell McAdam Takes Helm". The Huffington Post. Retrieved November 27, 2013. ↑ Portero, Ashley. "30 Major U.S. Corporations Paid More to Lobby Congress Than Income Taxes, 2008–2010". International Business Times. Archived from the original on December 26, 2011. Retrieved December 26, 2011. ↑ Merced, Michael (June 1, 2012). "Verizon to Buy Hughes Telematics for $612 Million". The New York Times. Retrieved November 27, 2013. 1 2 Juvenal, Justin (July 4, 2012). "911 System Restored". Washington Post. ↑ Edward Wyatt (January 11, 2013). "F.C.C. Says Failure of 911 In Storm Was Preventable". The New York Times. Retrieved September 23, 2013. ↑ Mary Pat Flaherty (January 11, 2013). "Verizon 911 fixes are found lacking". The Washington Post. Retrieved September 23, 2013. ↑ Steven J. Vaughan-Nichols (July 31, 2012). "FCC rules Verizon can't charge for Wi-Fi tethering". ZDNet. Retrieved May 14, 2014. ↑ Fitchard, Kevin (August 23, 2012). "FCC approves the sale of cableco spectrum to Verizon". GigaOM. Retrieved November 27, 2013. ↑ Phil Goldstein, FierceWireless. “Verizon starts deploying LTE in its AWS spectrum.” October 15, 2013. Retrieved December 17, 2015. ↑ MacAskill, Ewen; Spencer Ackerman (June 5, 2013). "NSA collecting phone records of millions of Verizon customers daily". The Guardian. London. Retrieved June 6, 2013. 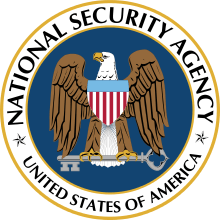 ↑ "NSA collecting phone records for millions of Verizon customers, report says". FoxNews. June 6, 2013. Retrieved June 6, 2013. ↑ Yadron, Danny; Perez, Evan (June 14, 2013). "T-Mobile, Verizon Wireless Shielded from NSA Sweep". The Wall Street Journal. Retrieved February 12, 2014. ↑ Devindra Hardawar (February 21, 2014). "Verizon, Vodafone agree $130 billion Wireless deal". VentureBeat. Retrieved February 21, 2014. ↑ Miranda, Leticia (December 6, 2013). "Verizon, the FCC and What You Need to Know About Net Neutrality". The Nation. Retrieved November 27, 2013. ↑ Singel, Ryan (January 20, 2011). "Verizon Files Suit Against FCC Net Neutrality Rules". Wired. Retrieved November 27, 2013. ↑ "Court Backs Rules Treating Internet as Utility, Not Luxury". nytimes.com. 2016-06-14. Retrieved 2016-10-13. ↑ Knutson, Ryan (January 22, 2014). "Verizon Says It Received More Than 1,000 National Security Letters In 2013". The Wall Street Journal. Retrieved February 12, 2014. ↑ Verizon Said to Approach AOL About Possible Takeover or Venture. MSN News. Retrieved: 8 January 2015. ↑ Imbert, Fred. "Verizon to buy AOL for $4.4B; AOL shares soar". Retrieved 2015-05-12. ↑ Puzzanghera, Jim (May 12, 2015). "Verizon and Sprint to pay $158 million to settle mobile cramming case". Los Angeles Times. Retrieved 2015-05-12. ↑ DiChristopher, Tim (July 25, 2016). "Verizon to acquire Yahoo in $4.8 billion deal". ↑ Anthony Ha, TechCrunch. “AOL's Tim Armstrong explains the Yahoo acquisition and what's next.” July 25, 2016. July 25, 2016. ↑ Lunden, Ingrid (August 1, 2016). "Verizon buys Fleetmatics for $2.4B in cash to step up in telematics". TechCrunch. Retrieved August 1, 2016. ↑ By Aaron Pressman, Fortune. “How Verizon Is Moving From Telephone Poles to Light Poles for Smart Devices.” September 12, 2016. Retrieved September 15, 2016. ↑ "Verizon workers can now be fired if they fix copper phone lines". Ars Technica. Retrieved 5 October 2016. ↑ "Verizon will fix your landline in a month—or give you wireless right now". Ars Technica. Retrieved 5 October 2016. ↑ Lardinois, Frederic. "Verizon acquires SocialRadar to buff up MapQuest's location data". TechCrunch. Retrieved 2016-11-18. 1 2 3 "Verizon Communications Fact Sheet" (PDF). April 28, 2016. Retrieved April 30, 2016. 1 2 Reinhardt Krause (September 26, 2013). "Will Verizon Go Wireless-Only And Spinoff FiOS?". Investor's Business Daily. Retrieved October 4, 2013. ↑ "4Q 2015 Quarter Earnings Conference Call Webcast". www.verizon.com. Retrieved 2016-04-30. ↑ Elena Malykhina (June 26, 2006). "Newly Merged Verizon And MCI Bridge Two IT Infrastructures". InformationWeek. Retrieved October 10, 2013. 1 2 "Verizon creates new Verizon Enterprise Solutions global unit". Telecompaper. December 15, 2011. Retrieved October 10, 2013. ↑ "Verizon Launches Nationwide Advertising Campaign to Introduce New Company Name". Sentinel. August 9, 2000. Retrieved April 9, 2014. ↑ Martha Fulford (September 1, 2003). "Can you hear me now? Verizon tester logs 25,000 miles a year". ColoradoBiz. Retrieved April 9, 2014. 1 2 Theresa Howard (February 23, 2004). "'Can you hear me now?' a hit". USA Today. Retrieved April 9, 2014. ↑ Kunur Patel (April 14, 2011). "Reports of Verizon Guy's Demise (Slightly) Exaggerated". Advertising Age. Retrieved April 8, 2014. ↑ Spencer Morgranapr (April 2, 2011). "Hear Me Now?". The Atlantic. Retrieved April 8, 2014. 1 2 "There's an end to that: AT&T drops Verizon Suite". NBCnews.com. Associated Press. December 2, 2009. Retrieved April 9, 2014. ↑ Tom Bradley (November 3, 2009). "AT&T Sues Verizon Over 'There's a Map for That' Ads". PC World. Retrieved April 9, 2014. ↑ "Verizon Brings Ad Council PSAs on Teen Dating Abuse to Mobile, Internet and TV". Marketing Weekly News. October 3, 2009. Retrieved April 9, 2014. ↑ Mike Shields (September 18, 2009). "Verizon, Ad Council Link Up for Teen PSA Campaign". Adweek. Retrieved April 9, 2014. ↑ Gary Stibel (January 21, 2013). "Flipsides: Is Verizon's 'Powerful Answers' Campaign Genius or a GE Knockoff?". Advertising Age. Retrieved April 8, 2014. 1 2 3 "Prize-Winning Amounts Reported in $10M Powerful Answers Award". Wireless News. January 13, 2014. Retrieved April 9, 2014. ↑ Angela Mosaritolo (April 3, 2013). "Verizon Launches $10M Powerful Answers Contest". PC Magazine. Retrieved April 9, 2014. ↑ "Ad of the Day: Verizon Reminds Parents That Girls Aren't Just Pretty but 'Pretty Brilliant'". Retrieved 2015-05-07. ↑ "Powerful Ad Shows What A Little Girl Hears When You Tell Her She's Pretty". The Huffington Post. June 24, 2014. Retrieved 2015-05-07. ↑ "#InspireHerMind: Viral Ad Hopes to Draw Girls to STEM Jobs". Retrieved 2015-05-07. ↑ "Meet Poor Decision-Making Rob Lowe (He Has a Face Tattoo)". Retrieved 2015-05-07. ↑ "NBA's Recovering Jabari Parker Makes Gatorade Debut". Retrieved 2015-05-07. ↑ "These Verizon Ads Are All About Real Estate: We're Obsessed". Retrieved 2015-05-07. ↑ Erin Killian (February 25, 2008). "Verizon Foundation to give $1M to literacy program". Washington Business Journal. Retrieved September 22, 2014. 1 2 "Verizon Foundation Launches Education Initiative to Strengthen Student Learning in Science, Technology, Engineering and Math through Mobile Technology". Journal of Technology. October 30, 2012. Retrieved September 22, 2014. ↑ "After Achieving Early Success, Innovative Program That Helps Teachers Use Mobile Technology to Improve Student Learning Expands to 12 More Schools". Journal of Engineering. July 10, 2013. Retrieved September 26, 2014. ↑ Kristal Lauren High (May 3, 2014). "Verizon Foundation: Incubating New Social Solutions & Getting Kids ConnectEd". Politic365. Retrieved September 23, 2014. ↑ Alisa Reznick (April 19, 2013). "Donate your old phone, support domestic violence aid with Verizon's HopeLine". GeekWire. Retrieved September 22, 2014. ↑ Katie Delong (October 7, 2014). "Verizon presents grant to "End Domestic Abuse WI," Packers collecting no-longer-used wireless phones". FOX 6Now. Retrieved October 10, 2014. ↑ "Verizon Launches Entrepreneurship Training Program to Help Domestic Violence Survivors Become Small Business Owners". Education Letter. March 14, 2012. Retrieved September 22, 2014. ↑ Katie Fehrenbacher (April 30, 2013). "Verizon to spend $100M on solar panels, fuel cells for facilities". GigaOm. Retrieved October 1, 2014. ↑ Lucas Mearian (August 26, 2014). "Verizon to become solar-power leader in the U.S. telecom industry". Computer World. Retrieved October 5, 2014. ↑ Kevin G. DeMarrais (January 4, 2007). "Verizon Wireless reaches marketing deal with NHL". The Record. Retrieved April 9, 2014. ↑ Michael Long (February 14, 2012). "Verizon extends as NHL wireless provider". SportsMedia. Retrieved April 9, 2014. ↑ Jim Peltz (March 14, 2014). "Verizon becomes title sponsor of IndyCar racing series". Los Angeles Times. Retrieved April 9, 2014. ↑ "Verizon becomes title sponsor of IndyCar Series". AP Online. March 14, 2014. Retrieved April 9, 2014. ↑ "How Verizon Wireless Views Sponsorship, Activation and ROI". IEG Sponsorship Report. December 20, 2010. Retrieved April 9, 2014. ↑ "Wireless Service Providers Dial Up New Sponsorships". Sponsorship.com. August 5, 2013. Retrieved April 9, 2014. ↑ David Nakamura (December 2, 2007). "Verizon Center Marks 10th Anniversary". Washington Post. Retrieved April 10, 2014. ↑ "Verizon Wireless Arena Facts". Verizon Wireless Arena. Archived from the original on April 25, 2014. Retrieved April 10, 2014. ↑ "About The Arena". Verizon Arena. Retrieved April 10, 2014. ↑ "Alltel Center to get name change". Market of Free Press. July 24, 2009. Retrieved April 10, 2014. Wikimedia Commons has media related to Verizon.